Leah Hogsten | The Salt Lake Tribune Restaurants in Utah and around the country are ditching plastic straws to better the environment. l-r Jason Brailow and Chad Beals, co-owners of L7 Labs in South Jordan, are selling silicone, stainless steel and collapsible straws through a new internet company, X-Straw. Leah Hogsten | The Salt Lake Tribune l-r X-Straw's soft silicone straw that is offered in a variety of colors, a silicone soft-tipped bent stainless steel straw, a bent stainless steel straw, a straight stainless steel straw and silicone soft-tipped straight stainless steel straw and a collapsible straw. Restaurants in Utah and around the country are ditching plastic straws to better the environment. l-r Jason Brailow and Chad Beals, co-owners of L7 Labs in South Jordan, are selling silicone, stainless steel and collapsible straws through a new internet company, X-Straw. Leah Hogsten | The Salt Lake Tribune Restaurants in Utah and around the country are ditching plastic straws to better the environment. 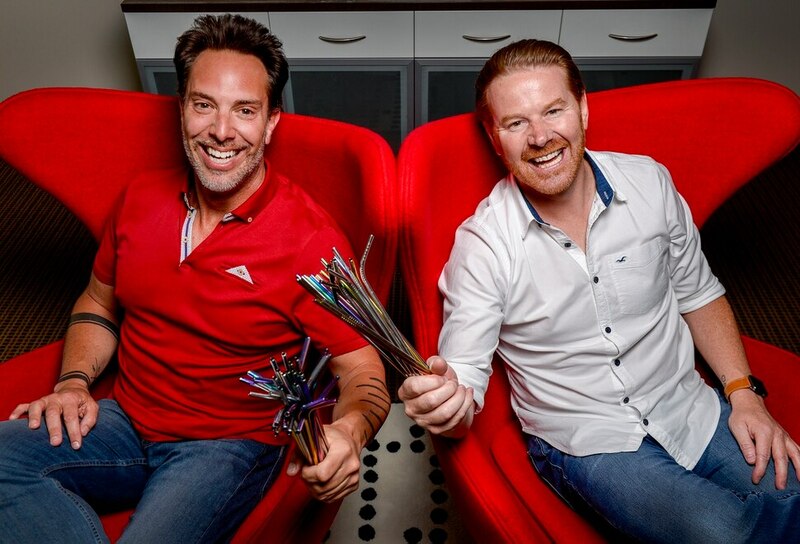 l-r Jason Brailow and Chad Beals, co-owners of L7 Labs in South Jordan, are selling silicone, stainless steel and collapsible straws through a new internet company, X-Straw. Leah Hogsten | The Salt Lake Tribune Restaurants in Utah and around the country are ditching plastic straws to better the environment. l-r Jason Brailow and Chad Beals, co-owners of L7 Labs in South Jordan, are selling silicone, stainless steel and collapsible straws through a new internet company, X-Straw. South Jordan • A Utah-based business has jumped on the strawless bandwagon, selling reusable straws that allow consumers to look fashionable while sipping a pop and saving the planet. 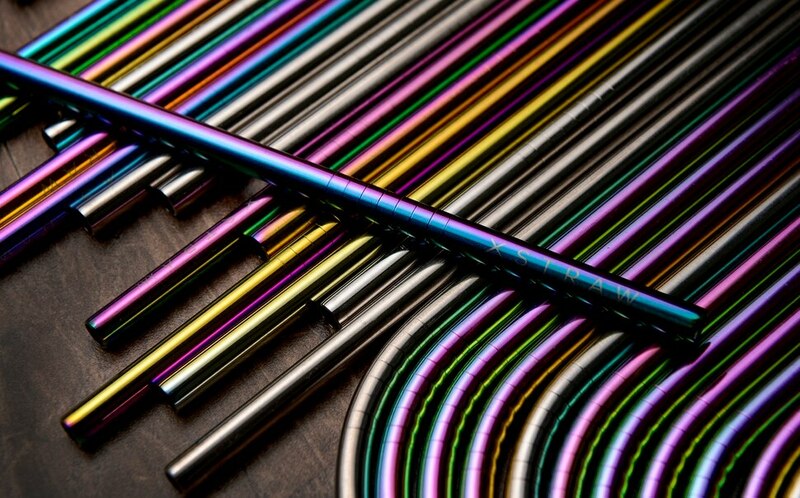 Enjoy your soda, iced coffee or water with the iridescent stainless steel “unicorn” straws, available at XStraw.com. There is even a straw that can be folded and stored into a recyclable keychain carrier. For those with Earth-minded children — or those with muscle weakness or swallowing problems who need something softer — there is a set of six colorful silicone straws that are longer and wider, making them good for smoothies and milkshakes. Leah Hogsten | The Salt Lake Tribune Restaurants in Utah and around the country are ditching plastic straws to better the environment. l-r Jason Brailow and Chad Beals, co-owners of L7 Labs in South Jordan, are selling silicone, stainless steel and collapsible straws through a new internet company, X-Straw. Brailow and his business partner, Chad Beals, estimate that just one reusable straw can replace 584 plastic ones. They also will be selling their reusable straws Thursday at the Salt Lake Air Protectors Matching Grant Celebration at The Gateway. Because the anti-straw, anti-plastic movement “is catching on like wildfire” across the country, Brailow isn’t afraid that XStraw.com is going up against larger online retailers such as Amazon and other suppliers. “I don’t feel like it’s a trend,” he said. “I feel like it’s permanent. " Exactly how many single-use plastic straws are used each day in America is up for debate. Some environmental groups say the number is as high as 500 million — or 1½ straws per day, per person. Others say it’s likely half that amount. Starbucks may have provided the best evidence of the U.S. problem, however, when it announced that it gave out 1 billon straws annually. This much is known: Most plastic straws come from restaurants and businesses that provide them for drinking smoothies, juices, water and cocktails. These plastic straws end up in landfills, where they never degrade, or rivers, oceans and other waterways, where they can harm the environment and marine life. In fact, it was a viral video of a sea turtle, with a plastic straw up its nose, that brought widespread attention to the issue, which has resulted in numerous cities across the country banning plastic straws. 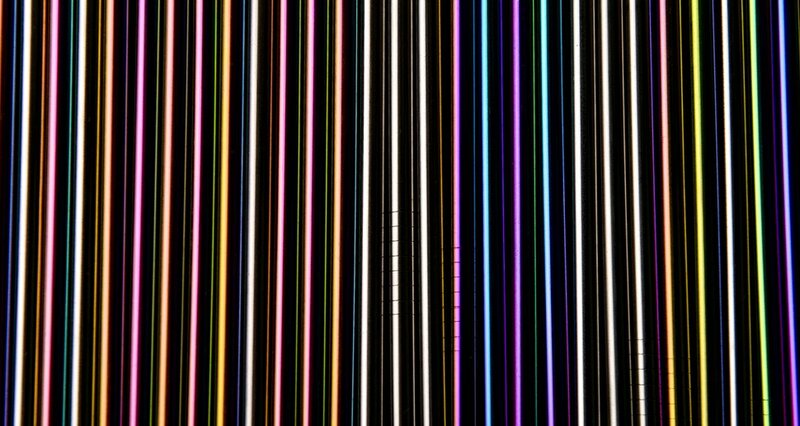 “You don’t have a pulse or a soul if that video didn’t affect you,” said Brailow, who first saw the business potential for reusable drinking straws during a trip to San Francisco six months ago. Nearly all the restaurants and bars he entered had signs letting customers know they were ditching plastic straws as a way of saving the marine life and improving the health of the environment. Then, in March, the campaign launched in his home state. Strawless in SLC asked food businesses to stop handing out plastic straws and instead encouraged them to switch to paper or biodegradable straws. 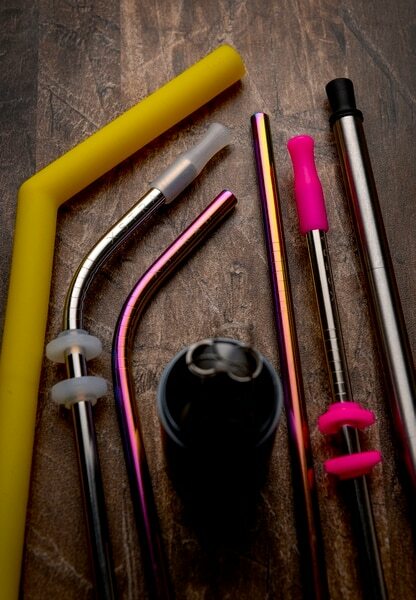 Leah Hogsten | The Salt Lake Tribune Left to right, X-Straw's soft silicone straw that is offered in a variety of colors, a silicone soft-tipped bent stainless steel straw, a bent stainless steel straw, a straight stainless steel straw and silicone soft-tipped straight stainless steel straw and a collapsible straw. Restaurants in Utah and around the country are ditching plastic straws to better the environment. Jason Brailow and Chad Beals, co-owners of L7 Labs in South Jordan, are selling silicone, stainless steel and collapsible straws through a new internet company, X-Straw. Brailow, a self-described “serial entrepreneur," thought people might prefer to have their own reusable straw and contacted an oversees manufacturer to produce straws to his specifications. The straws are safe for the dishwasher and include a small cleaning brush. “I always try to be on the cusp of groundbreaking products,” said Brailow, who has launched several business startups over the past decade, including a line of sunglasses and a cuddly stuffed animal with a removable packet that can be warmed in the microwave. “It’s great to see a problem in the market and see local business respond with solutions,” said Michael Cundick, executive director of Salt Lake Air Protectors. Since beginning the Strawless in SLC campaign more than five months ago, Cundick said 110 businesses — from bars and bakeries to pizzerias and sushi restaurants — along the Wasatch Front have pledged to stop handing out plastic straws, preventing possibly thousands of the one-use plastic utensils from going into landfills. To date, more than 1,800 people also have signed a petition of support at change.org. Cundick said doing away with plastic straws is just the first step in a larger drive to reduce all single-use plastic products, including plastic grocery bags, plastic water bottles, plastic utensils and Styrofoam food packages. Hopefully, he said, the plastic straw issue opens the “floodgates about being more conscious of our resources." If it does, entrepreneurs, like Brailow, will be watching to see if there’s a moneymaking solution for consumers. Leah Hogsten | The Salt Lake Tribune Restaurants in Utah and around the country are ditching plastic straws to better the environment. Jason Brailow and Chad Beals, co-owners of L7 Labs in South Jordan, are selling silicone, stainless steel and collapsible straws through a new internet company, X-Straw.